- The tread pattern void ratio of the Nitto Terra Grappler® tire is balanced for off-road traction and on-road handling. Coupling joints between tread block and elements reduce excessive flex for between traction and steering response on and off road. - Deep sipes and lateral voids effectively channel away water. Siping helps resist hydroplaning by cutting through pockets of water on road surfaces. This technology provides all-season traction of the Nitto Terra Grappler® tire.! - The lugs on the shoulder of the Nitto Terra Grappler® tire are staggered to improve traction in deep sand and loose dirt. 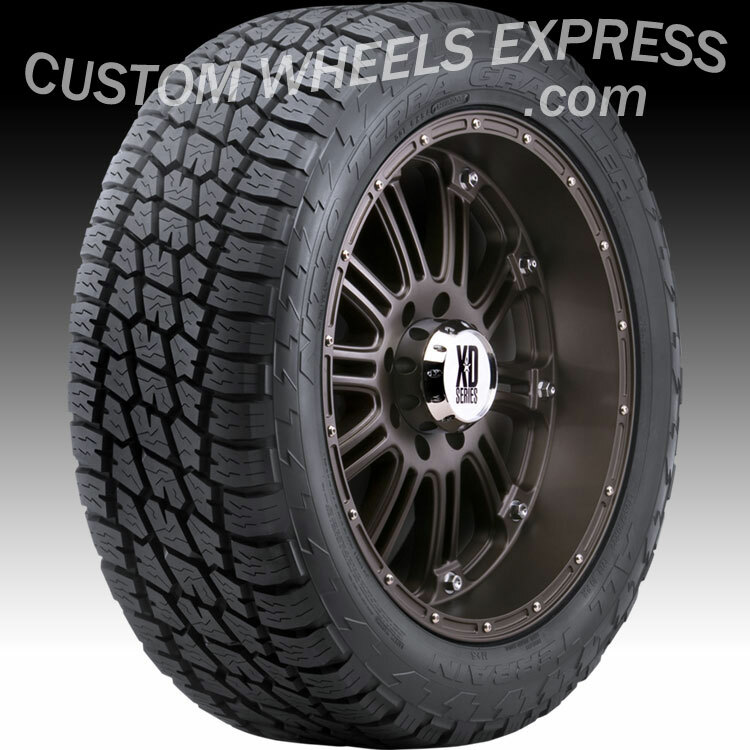 - The Nitto Terra Grappler® tire offers two different sidewall designs. One has smoth letters and the other side has spiney letters.